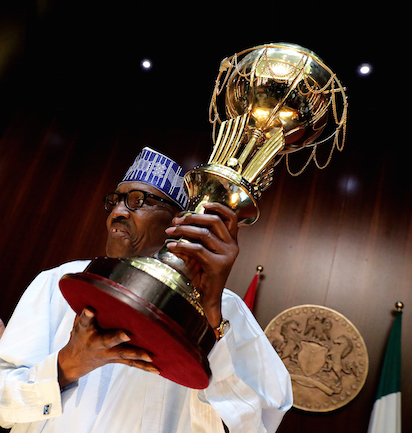 Buhari receives D’Tigress as he gives N1m to each player- President Muhammadu Buhari received the victorious D’Tigress during Wednesday’s Federal Executive Council (FEC) meeting in Abuja. 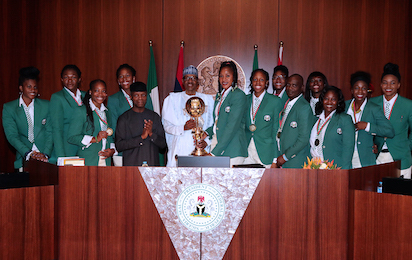 President Muhammadu Buhari joined by Vice President Yemi Osinbajo in a photograph with the players and officials during a brief Presidential reception for the victorious D-Tigress National Female Basketball Team as the African Champions at the Aso Chambers, State Houe, Abuja. The president promised each of the D’Tigress players N1 million while each official of the team will get N500,000. Details soon.